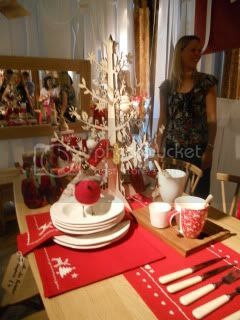 I was invited along with a few other mummy bloggers to the John Lewis Christmas preview. We got to see the Christmas collection face to face. No being sent catalogues, John Lewis took us over to London. Wined (orange juice) and dined us (yummy prawn cocktails) and showed us the many beautiful things lined up for Christmas in real life. Where to start? Well, I could tell you about the shiny new flip mino camcorders we were given as we walked in to film the day. 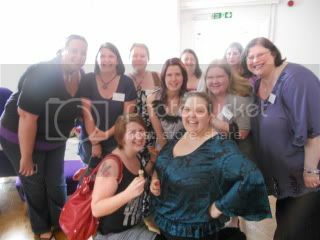 Unfortunately, I didn’t get any video footage of the day (try juggling a drink, camera, mobile & cupcakes all at the same time!) 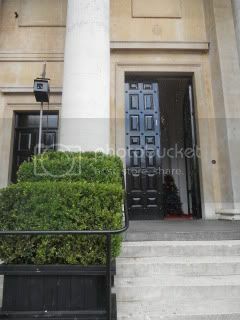 but be sure to keep an eye on #JLXMAS for the other blogger’s videos/posts. 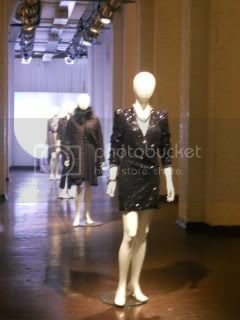 The tour started at fashion, oh John Lewis how you teased me. I was reminded of a wardrobe I had pre-mummy years. The cashmere jumpers were simply beautiful, so soft but so unpractical with a one year. I was excited to hear they were getting in gstar, one of my favourite clothing brands. To be honest, I never knew John Lewis even sold clothes. 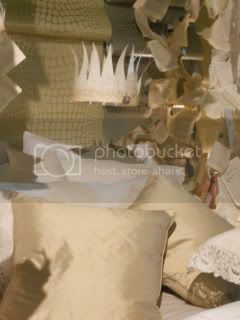 When I thought of JL – toys & homeware came to mind. 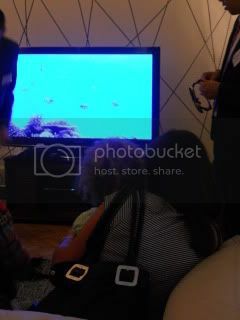 We were then taken to homeware where we got to try out the new 3D TV experience, kitchen equipment – I’m trying to persuade the OH that the pink kettle/toaster will go nicely in our kitchen. We got to look at the Christmas decorations and yes trees. I was quite impressed at the tree which looked incredibly real but wasn’t. That may just be a perfect investment what with a baby/toddler running around the house. I have to admit to falling in love with a chair, it had many different coloured buttons and I was told it could come in any many different colours – it has been added to my wishlist along with the bed which is fit for a Queen. 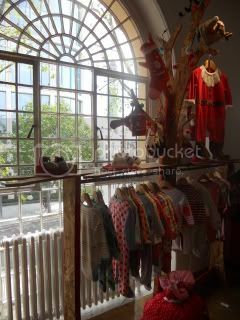 Further on upstairs was toys, children’s clothes and nursery furniture/accessories. 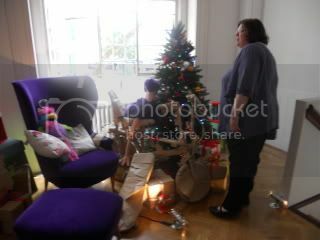 Looking around gave me some great ideas on what to do with Oli’s room. They had some wallpaper which at first glimpse I was mentally dressing Oli’s room in. We got to ask the key buyers for John Lewis questions about the items they choose and Sandy bought up the question of what will be the big thing this year, and one of the answers was the pony which moved and was big enough for children to sit on – I would be lying if I didn’t say it has been added to my Oli’s Christmas list. 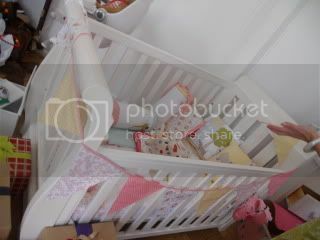 Such a beautiful sledge cotbed, we have one similar to this, and I highly recommend them, it will see you through the baby/toddler years to the first bed and then get be reused for the next one which is what we plan on doing. We then went on to the gift section; I loved everything I saw right down to the mugs. I was so impressed with the Breville cupcake maker that it might be bought just to sit next to my egg & toast maker. We were shown a homemade fudge kit, and I just kept thinking what a great Christmas present it would make for someone. We were surrounded by cupcakes so it would have been rude to of not eaten 1 or 7. 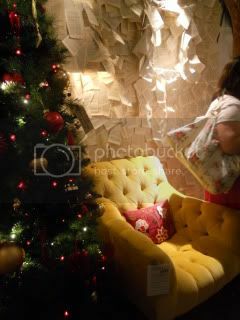 Had to giggle at MTJAM who admitted to nearly knocking down a display, I’m pretty sure she was trying to create a distraction while her husband did a runner with one of the many gorgeous sofas on display. Previous Post Why Does He Hurt Me?